WASHINGTON – Consumers Union, the policy and mobilization division of Consumers Reports, today sent a letter to key House and Senate committees, urging them to provide funding for the National Highway Traffic Safety Administration (NHTSA) and the Environmental Protection Agency (EPA) to disseminate fuel economy, emissions, and expected average fuel cost information for heavy-duty pickup trucks. 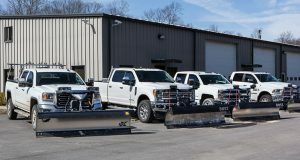 This information, which is widely available for light duty vehicles, is not available for the largest pickups like those Consumer Reports recently tested. These pickups can cost $7,000 to $10,000 more to fuel during their first 15 years on the road than comparable light-duty versions. The Consumers Union letter was sent today to the leadership of the House Energy and Commerce Committee, the House Committee on Appropriations, the Senate Committee on Commerce, Science and Transportation and the Senate Committee on Appropriations.